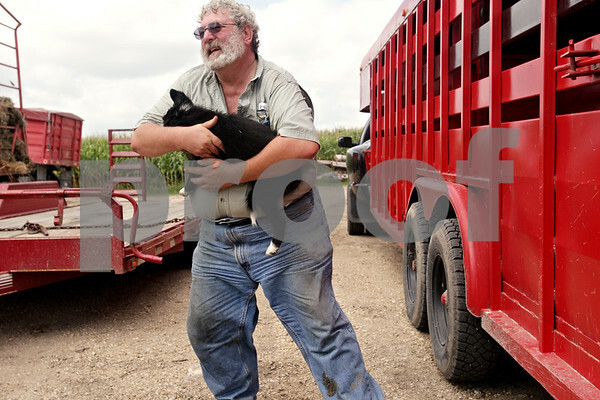 Chauncy Watson picks up his new puppy, Cinders, while working on his farm on Saturday August 21, 2010. Cinders was resting under the trailer when Watson picked the puppy up. "You're too valuable to me, my little friend," he said.